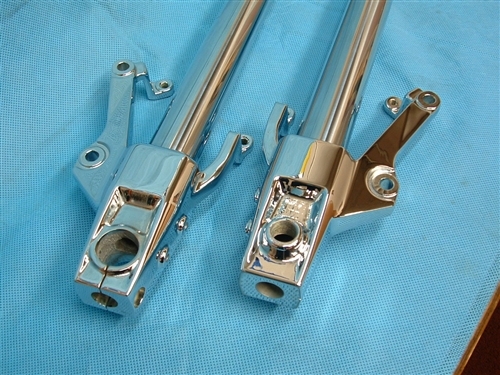 Chrome plating your Warrior lower fork tubes is a great cosmetic enhancement. 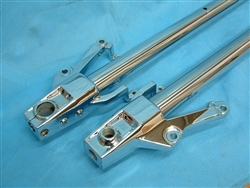 Chrome forks have always been a positive attraction to the overall look of your ride. The angled design of the warrior fork bottoms really is accented by our chrome finish. This is a 5 layer chrome process, nickel, copper, semi-bright nickel, bright nickel, then chrome....the fork bottoms look "wet". Or, if you would like, we can disassemble, service, and reassemble your forks, no problem. Please add $179 for full fork service that includes new fork seals, clean and decontaminate fork internals, and lastly add fresh fork oil. 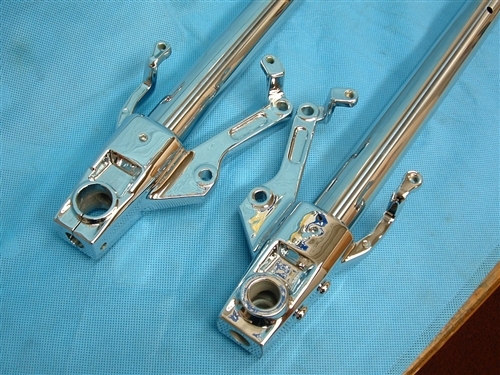 Your forks will then be freshly serviced, and ready for immediate installation when you receive them.